Clemson Girl: Quick Poll: Would you wear this gameday outfit to an October Clemson home football game? Quick Poll: Would you wear this gameday outfit to an October Clemson home football game? View the dress on ModCloth.com. View the purple cardigan on Target.com. 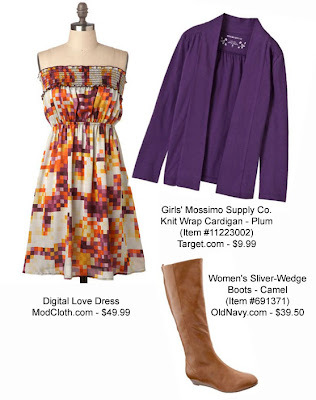 View the knee high boots on OldNavy.com.